Often times the end of vacations, tend to be the least favorite part of a trip for visitors vacationing in the “#1 Island in the World-TripAdvisor Awards 2104.” But thanks to talented Belizean artisans such as our woodcarvers, Ambergris Caye tourists get to take a piece of paradise with them when they leave-literally! In this article you will be introduced to three of San Pedro’s woodcarvers who have given countless visitors the perfect souvenir to remember their time in San Pedro. They work with tools such as chisels, chainsaws, and hammers in order to turn pieces of rough woods such as logwood, driftwood and ziricote into masterpieces that reflect various aspects of rich Belizean culture and wildlife. Woodcarvin’ with Carvin’ Marvin: Marvin Vernon is a 49 year old woodcarver. 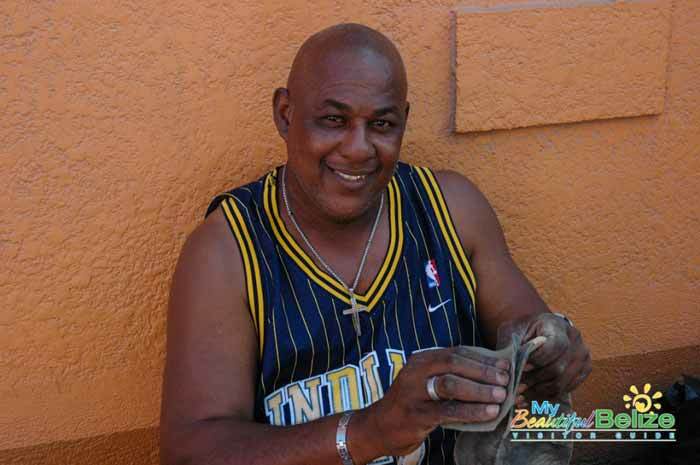 He is originally from Belize City has been living in San Pedro for over 20 years. He has been creating woodworks for about 30 years. What started out as a mere hobby developed over the years, and has become his passion. He enjoys creating new pieces and sharing it with others. Marlon “Ras Milan” Usher, 49, is a friendly woodcarver based in San Pedro Town’s Central Park. 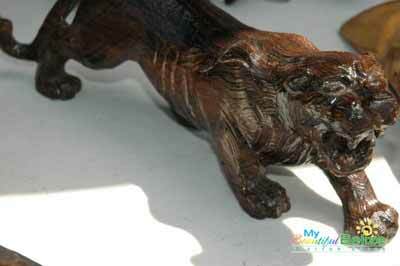 He is part of a collaborative group of artisans known as Irie Belize. 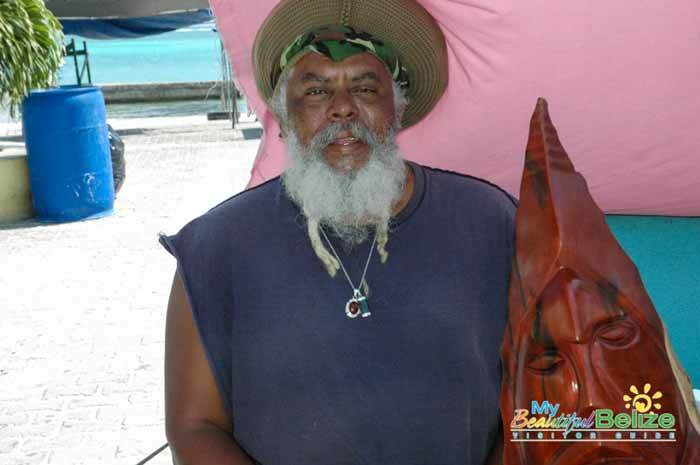 Marlon got involved in carving after moving to Caye Caulker from Belize City, where he was mentored by his older woodcarving cousin. 25 years later, Marlon continues carving. The next time you’re in Central Park keep an eye open for the friendly Rasta and all his neat woodworks. Terril Hensley is a 31 year old woodcarver originally from Rockstone Pond (a village outside Belize City). Terril was introduced to carving by the older men in his village who are woodworkers by trade and he has been carving for almost 10 years. Next time you are in need of a little Belize- a little Ambergris Caye- to take back home, check these guys out.